February 16-17, 2019 — Ronda’s ready to get her Sonya Blade on & defend her Women’s Championship at Elimination Chamber vs. Ruby Riott. But what about the post-match Becky Lynch attack? 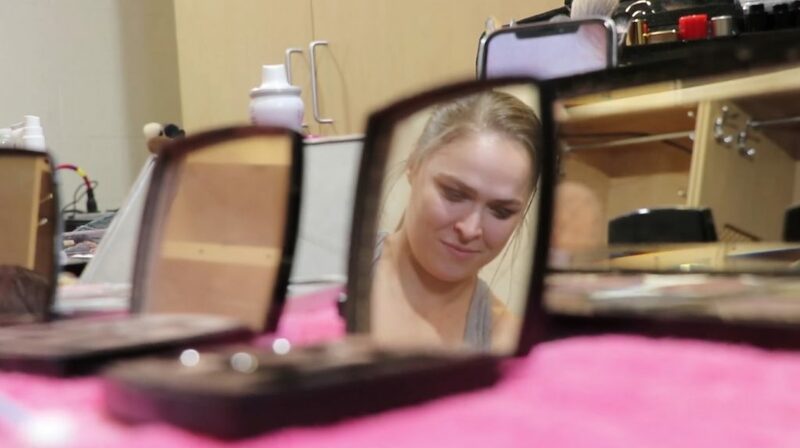 On this week’s Ronda on the Road, go way behind-the-scenes of Elimination Chamber in Houston, TX. From an Uso hypeman (eat your heart out, Lio Rush) to the hype of that iconic Sonya Blade gear (*cue the Mortal Kombat theme*) to a very up close and personal look at that Becky Lynch confrontation with Charlotte Flair (and, eventually, the RAW Women’s Champion Ronda Rousey) post-Rousey vs. Riott. In fact, Rousey is more than ready to start a Riot(t) this week on the road.